Every time I find myself at Beirut International Airport, a torrent of feelings overtakes me. As locals, we constantly berate the country we live in, citing a hodgepodge of factors like traffic, pollution, economic stagnation, political backwardness, and the high cost of living. But as soon as we depart from this little nation of 10,452 square kilometers, we start longing for Fairuz’ enchanting music, for a mankouche at the corner bakery, for the beautiful vistas to be had from any mountain perch, for a sight of the glistening Mediterranean. Our country of savages transforms into our country of life-loving pleasure-seekers who are perhaps the world authorities on hospitality and warmth. Over the past five weeks, I’ve been participating in a unique campaign with Dunkin Donuts Lebanon. The aim is to capture and spotlight awesome customer service in action, which will eventually be rewarded with a prize trip to the most outstanding staff member. How do I fit in? Think of me, and nearly a dozen other social media stewards, as a mystery shopper. I have the opportunity to visit outlets at will, interact with DD personnel, and watch my order materialize. The upside, of course, is that I’ve gotten major exposure to the extensive menu at Dunkin Donuts, which, believe it or not, transcends America’s favorite pastry and the accompanying cup of Joe. You could literally waltz up to DD and have a picnic without ever coming near the donut (I dare you to!). 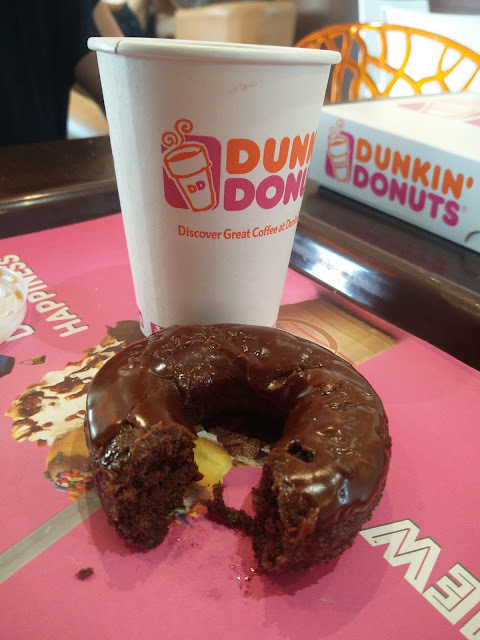 Here’s a quick tour of what the menu has to offer, comprising mostly permanent items and a few perhaps seasonal – we’ll have to see what becomes of the #DunkinMagic delights! Three summers ago, mere days before my wedding, I stopped by Furn Beaino in Jounieh for the very first time. 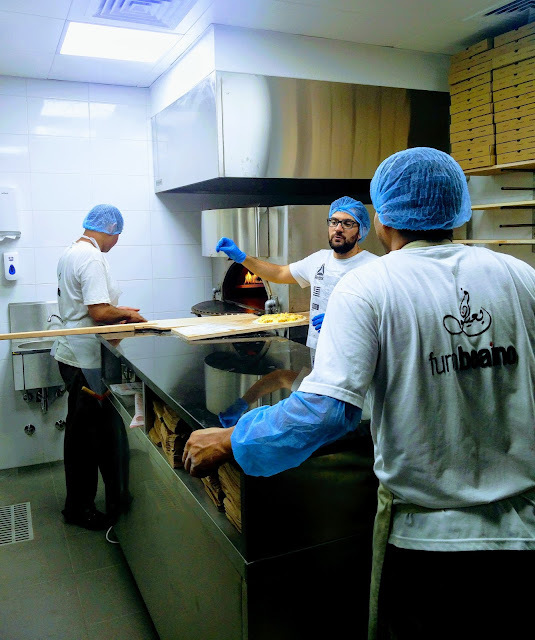 I’d heard and seen enough on social media to entice me to pass by the small bakery nestled along the inner highway of Sarba. There, Wissam Beaino, who along with younger brother Samer assist their father Toni in running the operation, greeted me with an infectious smile and a spiced meat pie tens of seconds later. I would never have guessed that a single spiced meat pie, better known to locals as la7m baajin, would be the start of a solid friendship steeped in the mutual love of good food. Furn Beaino has been serving hungry passersby for over 40 years, earning a blemish-free reputation as arguably the best lahm baajin house in the country. One solitary bite out of that crisp dough, spread meticulously with fresh finely minced lamb, tomatoes, onions, pepper paste and a squeeze of lemon, and you’ll know exactly what I mean. 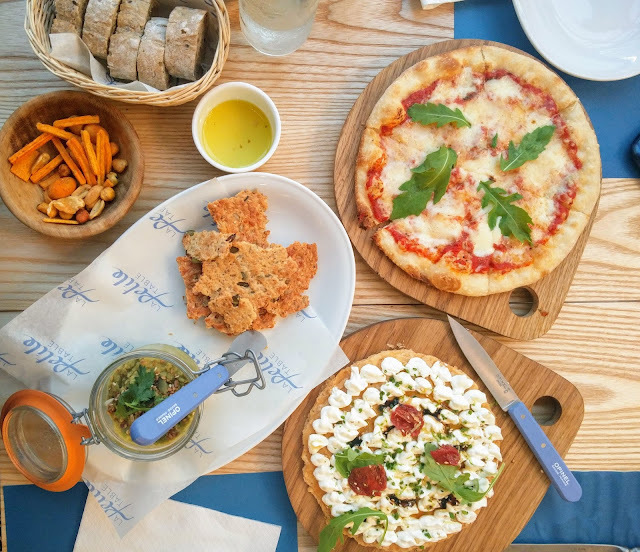 When your date invites you to dinner and a show, the evening’s agenda is pretty clear: grab a bite somewhere, and then head to the movies to catch a flick. Slightly more glamorous plans would entail a Broadway show, perhaps an opera, or even a ballet. But that’s the general gist of it. Two concrete activities – chewing and viewing – taking place discretely and consecutively. You’d never imagine the two would be fused into one. 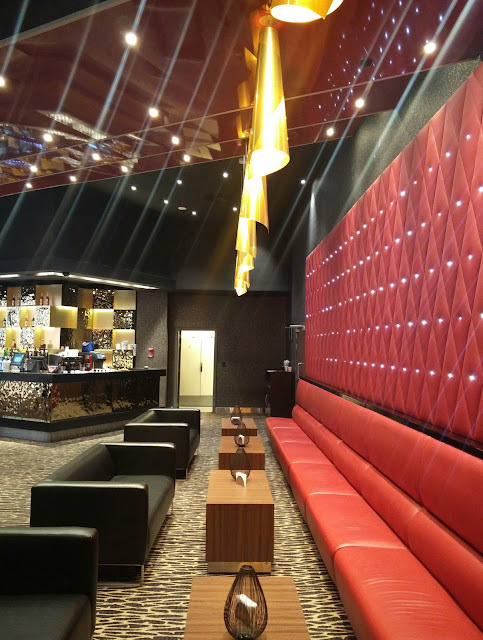 VOX Cinemas at City Centre Beirut did the unimaginable: they took a perfectly great concept, VOX Gold, and gilded it with even more glitter and glitz. Originally, you would have been more than content to curl up in the leather-upholstered reclining chair, outfitted with plush pillow and blanket upon request. The private lounge area and minimum age restriction ensure your séance will be smooth and serene. But a gourmet dining affair all while taking in the film? That’s like double prizes. Nothing like a foiled plan to shake up your Saturday. I woke up animated and in good spirits on a weekend morning and decided a trim new hair look was long overdue. Ever since I acquired my own hair straightener in late 2012, visits to the salon have been reserved for special occasions and haircuts. I’m not particularly loyal to one coiffeur over the next, as convenience and proximity in my hectic work lifestyle are key. But for the past two haircuts, I’ve relied on one artist to wield the scissors. While admittedly more liberal with them than I prefer, he’s got vision. At least I thought he did. Note to self: avoid visiting a restaurant in its opening weekend. The experience will likely be far from its best possible version, and your judgment will be confounded by unfavorable factors. Come back when the dust has settled and the restaurant can orchestrate the meal performance, not you! Such is what happened on my inaugural visit to La Petite Table in ABC Verdun. We were invited to try the bistro-like restaurant--not to be confused with La Petite Maison or La Table Fine--situated on the upper terrace of the mall, which only the evening before had witnessed its lavish unveiling. Friday night, and the restaurant was teeming with diners. Waiters and runners were scurrying to take and deliver orders, but they simply couldn’t keep pace. Not all dishes were available, nor could special requests be tended to. At one point, the scene looked like a flock of headless chickens running around in every which direction. We vowed to return on a calmer evening.